James Wooten, age 53, of Douglas, Georgia passed away on Wednesday April 3, 2019 at Coffee Regional Medical Center. James was born on October 14, 1965 in Atlanta, Georgia the son of James Tyrone Wooten and Nellie Mae Mulkey Wooten. 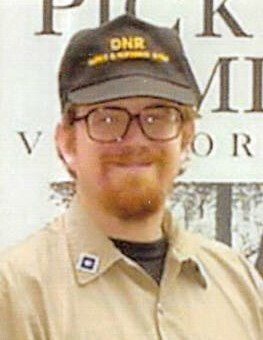 Mr. Wooten was a Park Ranger with the State of Georgia working at General Coffee State Park, an interpreter at Florance Marina State Park and an interpreter at Picketts Mill Battle Field, Dallas, GA.
Funeral services will be held 2:00p.m., Saturday April 6, 2019 from the Chapel of Sims Funeral Home with Rev. Clinton Moore and Rev. Tim Mock officiating. Interment will follow at Douglas City Cemetery. The family will receive friends Friday evening from 6pm until 9pm at Sims Funeral Home. Pallbearers were Doug Ward, Arnie Bowers, Brad Barlow, Cleve Ragsdale, Tommy Scott and Steve Cowart. Honorary pallbearer, Gordon Water.